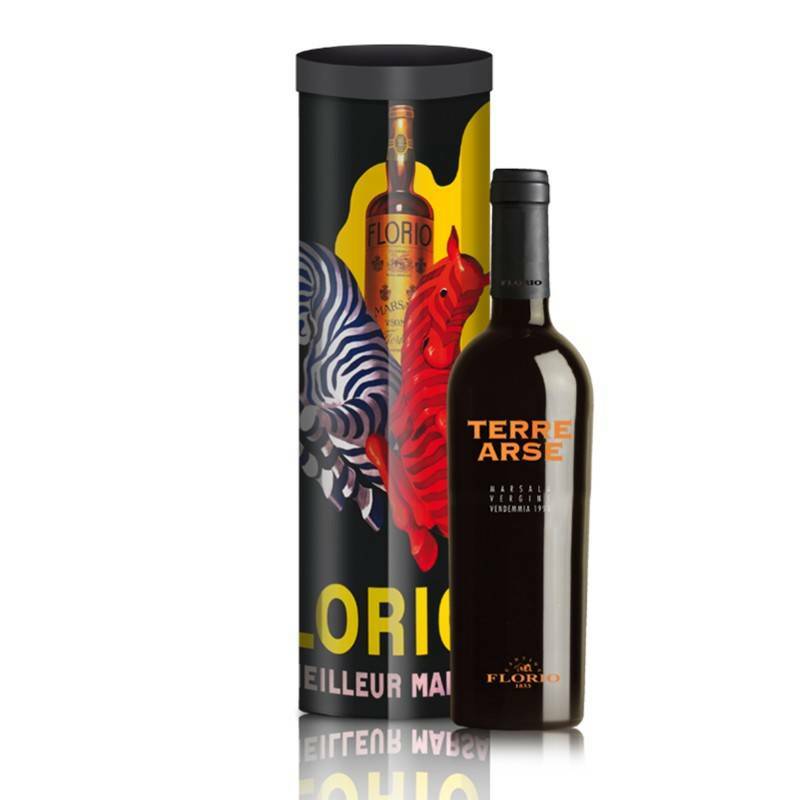 The eclectic Marsala Terre Arse is enclosed in a collector tin cylinder. The famous illustrator Leonetto Cappiello represents Florio in this unique poster, with the bottle harmonically fused together with two figures of zebras, one of which is in red hues. Original and stylish, this package will not go unnoticed.